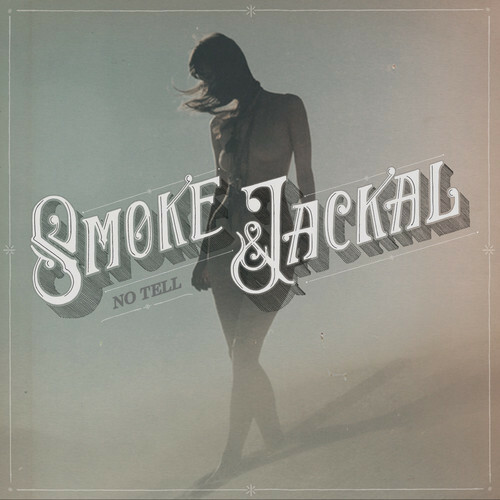 Listen to Smoke & Jackal's New Song! EP1 marks the first collaboration between Jared Followill (Kings of Leon) and Nick Brown (Mona). Smoke & Jackal were revealed to the universe earlier today as BBC Radio 1′s Zane Lowe debuted the EP’s electrifying first single, “No Tell,” officially declaring it to be the “Hottest Record in the World.” A companion video clip for “No Tell” is currently in post-production, with a premiere date to be announced soon. “No Tell,” will be available via iTunes and all digital providers on August 28. Take a listen to it below. Followill and Brown began recording as Smoke & Jackal earlier this year, fueled by multiple bottles of red wine and a shared fascination with timbre, rhythm, and aural adventure. They set to work at Brown’s Nashville home studio and before the first evening was through, the duo had crafted both “No Tell” and the stunning psychedelic slow jam, “Fall Around.” The two musicians immediately understood they had created something special, an evocative and original melding of oceanic rock with bottomless grooves and hypnotic dub textures. Just over one week later, EP1 was complete. Defined by Followill’s liquid bass lines and Brown’s soaring and expressive vocals, songs like “Road Side” and the closing “Safe Face” are both ingenious and accessible, their surprising soundscapes counterpointed by indelible melodies and haunting hooks. Smoke & Jackal’s EP1 is the sound of two talented friends allowing their music to freely go places no one could have anticipated. EP1 was produced by Smoke & Jackal, and engineered by Nick Brown. All songs were written by Smoke & Jackal.